Think of the dollars you'll save and the lush garden you'll enjoy when you make your own high-quality fertilizer. 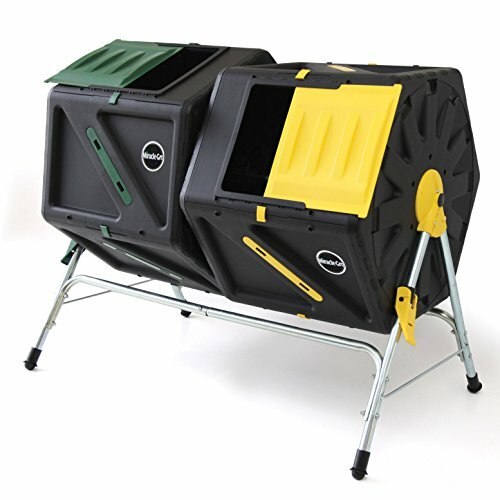 This 50-gallon composter tumbler with two wheels on the back frame makes composting organic waste a breeze. Just roll it around the yard and up to the back door to collect clippings and kitchen waste. 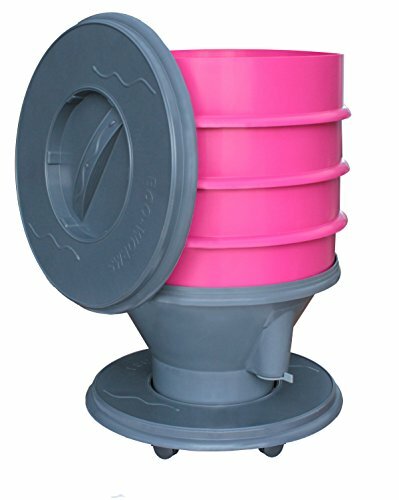 Built-in mixing fins help break up clumps, and a unique construction enables air circulation to speed composting, so your fertilizer is ready in record time. 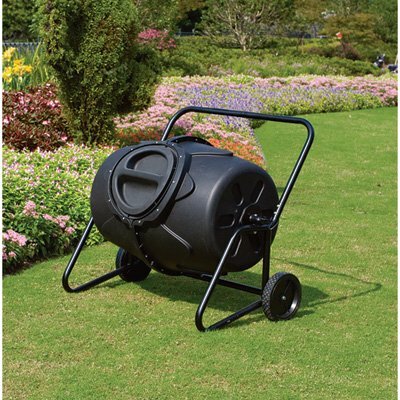 This durable unit features a heavy-duty steel tube frame and a recycled plastic drum. 39in.L x 35in.W x 31in.H. 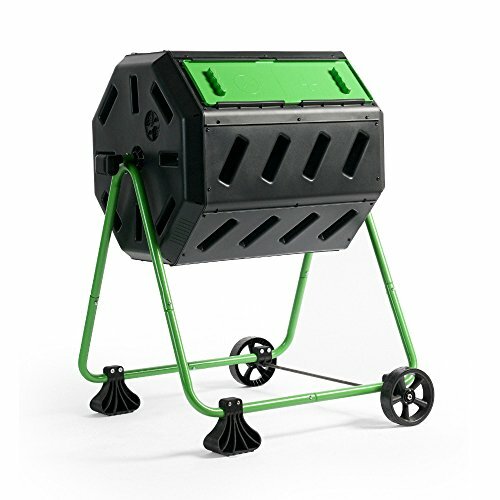 Make your own nutrient-rich dirt with the Hot Frog Mobile Dual-Chamber Compost Tumbler. 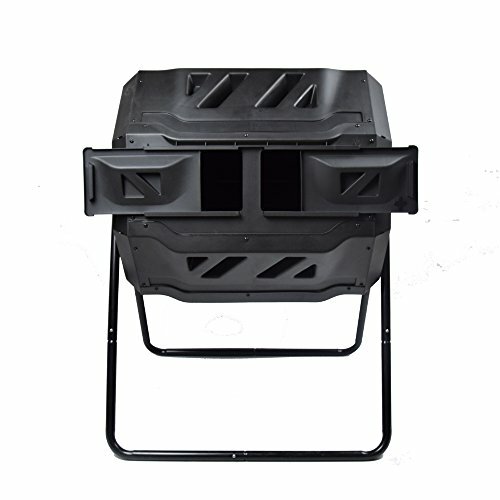 Strong and durable, this composter has a steel frame and is constructed from UV-resistant, heat-absorbing recycled black plastic. 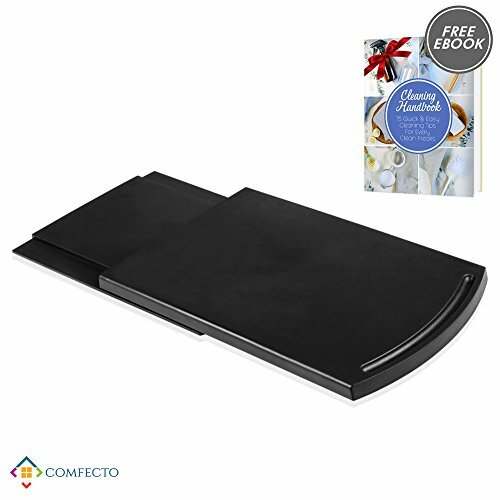 It's made to speed up the composting process with its dual-chamber design, so you'll have no trouble turning your kitchen waste and yard waste into food for your soil. Simply fill up the tumbler, give it a turn every other day with its built-in hand holds, and watch it turn into nourishing compost. Its wheel kit makes it easy for you to move it around the yard for easy access at any time. 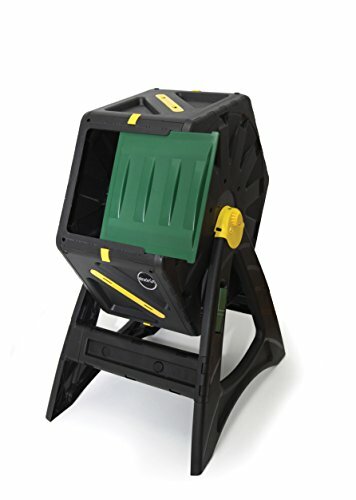 Able to hold up to 37 gallons, this rodent-proof compost tumbler will change the way you garden. Additional limited-time savings reflected in current price. Dimensions: 36L x 31W x 28H in.. Made from UV-resistant recycled plastic with steel frame. 37-gallon capacity. Wheels provide easy mobility. Adjustable air vents. Dual-chamber design for quick curing. For outdoor use. 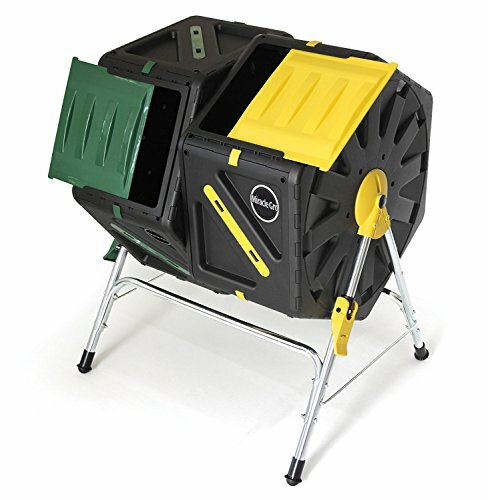 Exaco Trading 610016 8 Gallon Eco Worm Composter is the latest in worm composting bins. This is the first indoor bin on 6 wheels for easy mobility in the kitchen - keep it close by when prepping food. Great to store in a garage or balcony (small spaces) or outside. Round design - no corners to walk into. The Bin comes with 3 "worm" trays (worms not included). A reservoir to catch the very nutritious run-off and a "bowl" to drain the liquid into. The lid is designed to hang on the side of the bin when in use. Comes in a bright pink color. Capacity: 8 gal. Batch composting is the fastest and most efficient way to produce high quality compost, and this dual-bin tumbler makes it easy. Fill one side with kitchen scraps and yard waste, then stop adding materials and let it "cook," turning it every few days to speed up the decomposition process. In the meantime, add new scraps to the other side. When the first batch of compost is finished, remove it and repeat the process, letting the other side cook. 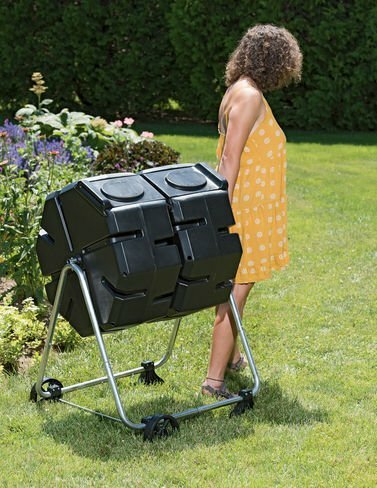 Wheels allow you to roll the composter from the back door to the garden. Or, move it out the way when you mow. One of our favorite Atlanta brands. 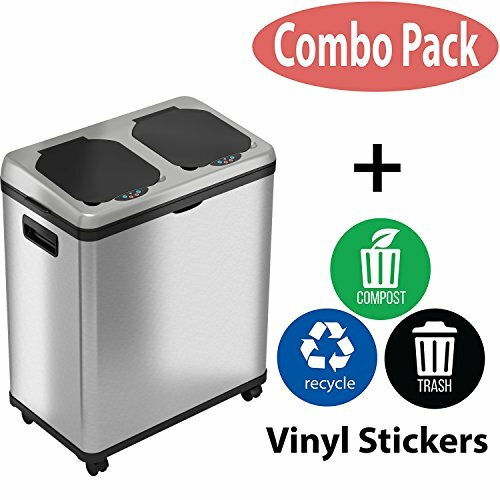 Compare prices on Compost Wheels at ShoppinGent.com – use promo codes and coupons for best offers and deals. Start smart buying with ShoppinGent.com right now and choose your golden price on every purchase.